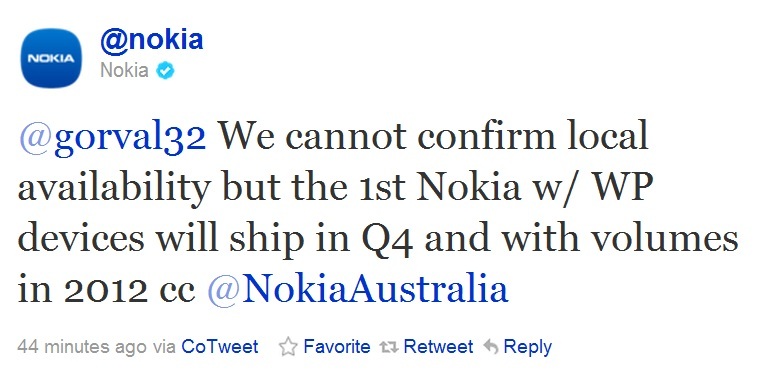 Nokia Windows Phone WILL SHIP IN Q4!! Just checking out what else Nokia Tweeted today, they confirm Nokia WP WILL be out this year. It’s just that it will roll out country by country and the majority will have to wait for 2012. That’s normal. Many phone companies launch something in one region and others have to wait a few months before they get it.